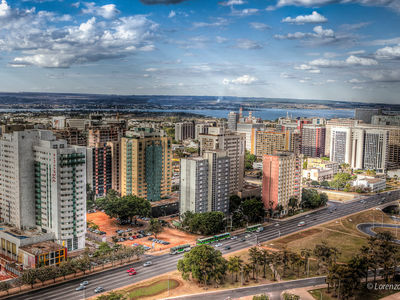 Brasilia, the capital of Brazil, is located in the center of the country, on a savannah with a seasonal climate with one dry season and another wet one. Although water supply was considered in the original city planning, the city has grown at a faster rate than expected. The Pipiripau River basin in the northeast of Brasilia provides the water to the vegetable and fruit plantations for over 80% of the inhabitants of the capital. It also provides drinking water to 10% of the 280,000 inhabitants. In the last fifty years the conversion of land to pasture and market gardens has left only 18% of natural plant cover. This affects the flow of the Pipiripau River, which has decreased by 40%, in turn creating situations of conflict between land owners, who use the irrigation channel, and the water supply company. Since July 2012, The Nature Conservancy and local partners have implemented the Pipiripau Water Fund to protect the basin. The object is to implement actions for the conservation of soil, maintenance of roads and restoration of degraded areas through payments for environmental services. Read this fact sheet to learn more about the objectives of the Brasilia Water Fund.